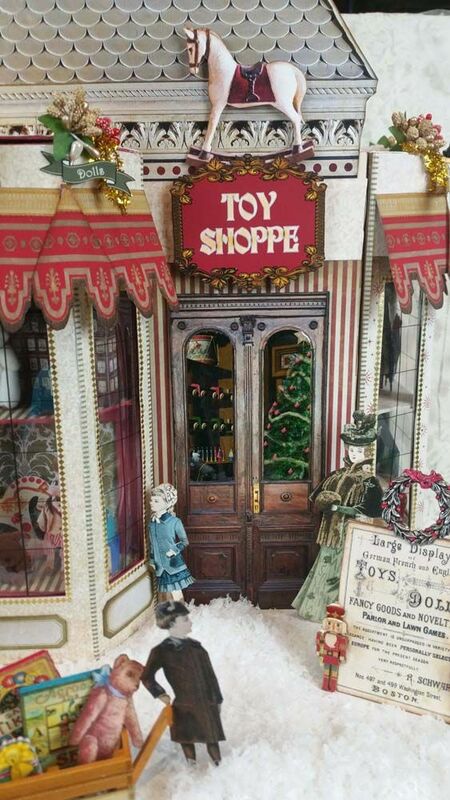 It’s Christmas time in Victorian England and Mr. Brimble’s Toy Shoppe is filled with things to delight both young and old. 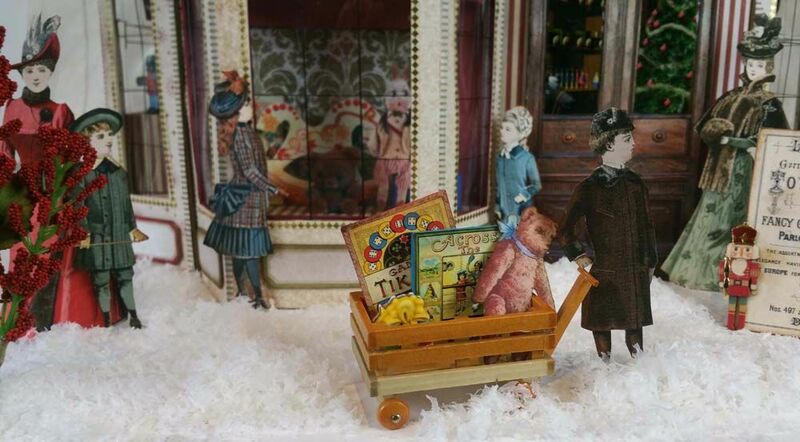 The village children wait in anticipation to see what new toys will fill the windows. 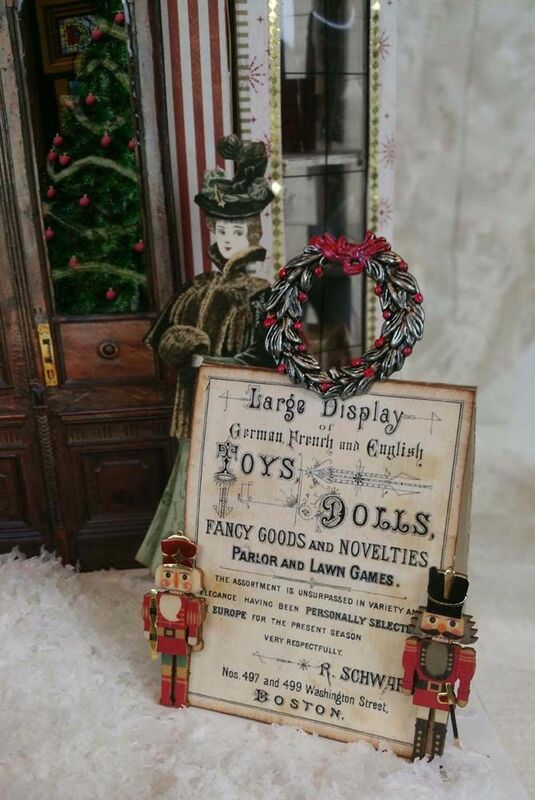 Checkout the mini wood dimensional nutcrackers on the sandwich board. 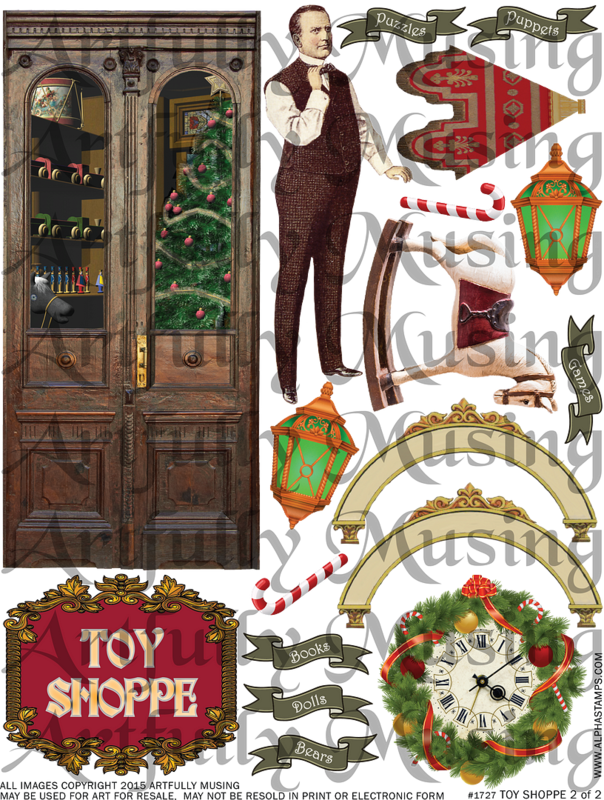 You can see inside the store through the door and it looks like Mr. Brimble has already put up the Christmas tree. I used transparency film printed with a window pane custom sized to fit the bay windows. You’ll find it to download at the bottom of this post. 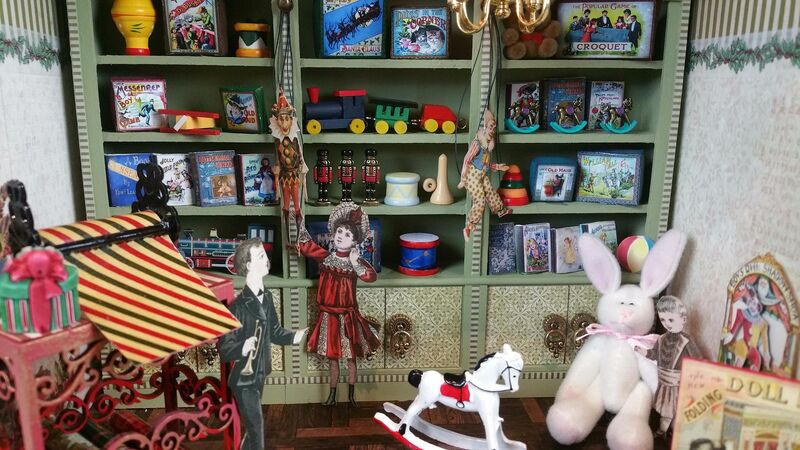 Things are looking so cheerful at the shoppe. 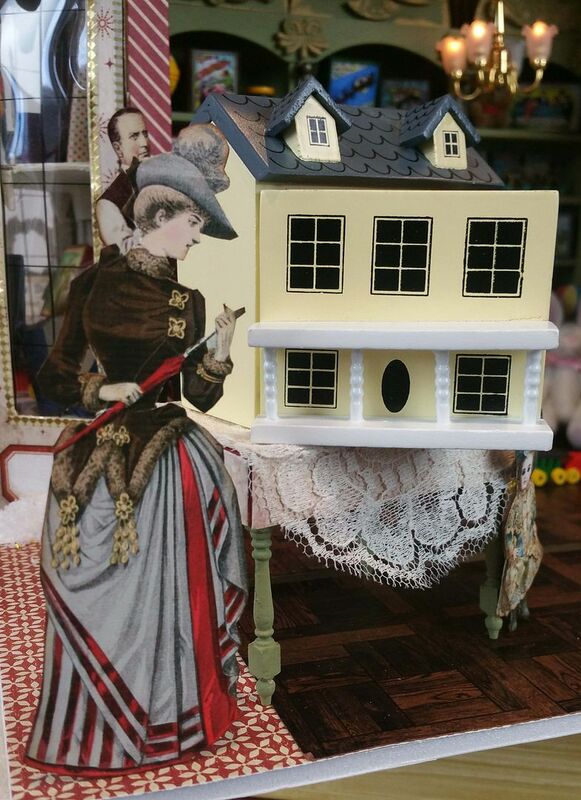 Notice the lovely lighted lamps above the bay windows. 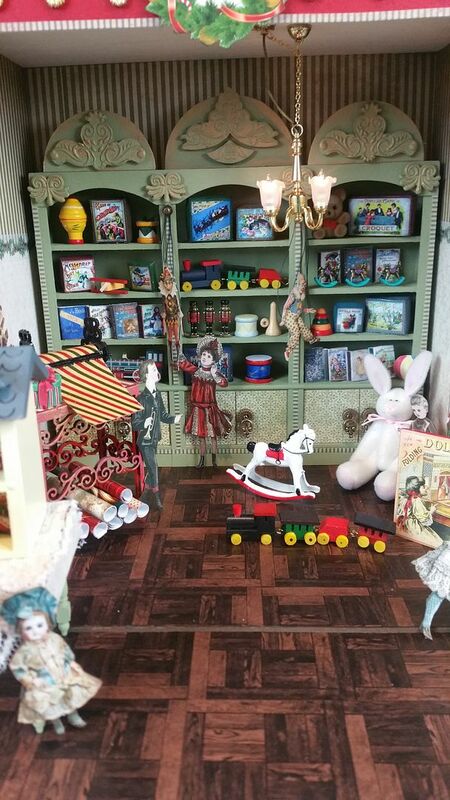 So many wonderful toys fill the windows. 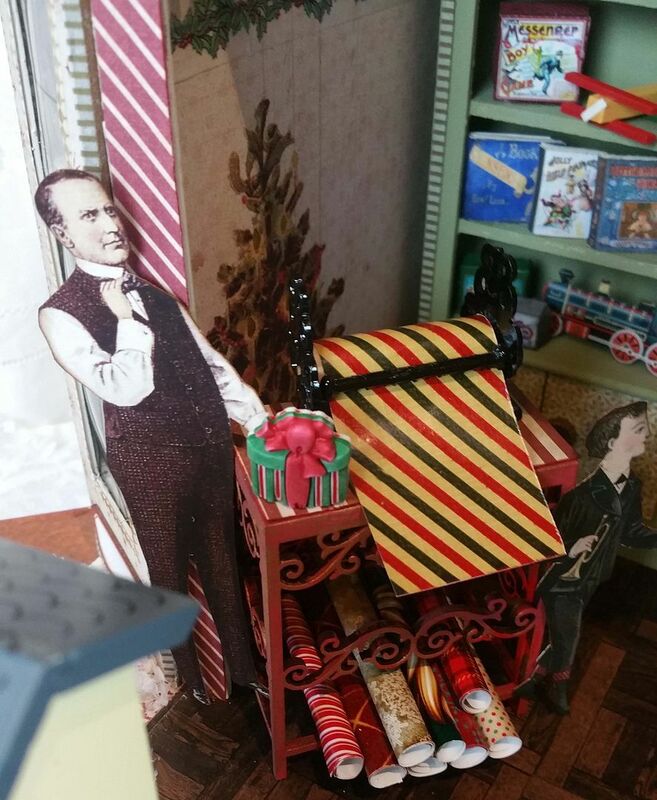 Looks like Mr. Brimble is pulling out all the stops for this holiday season! 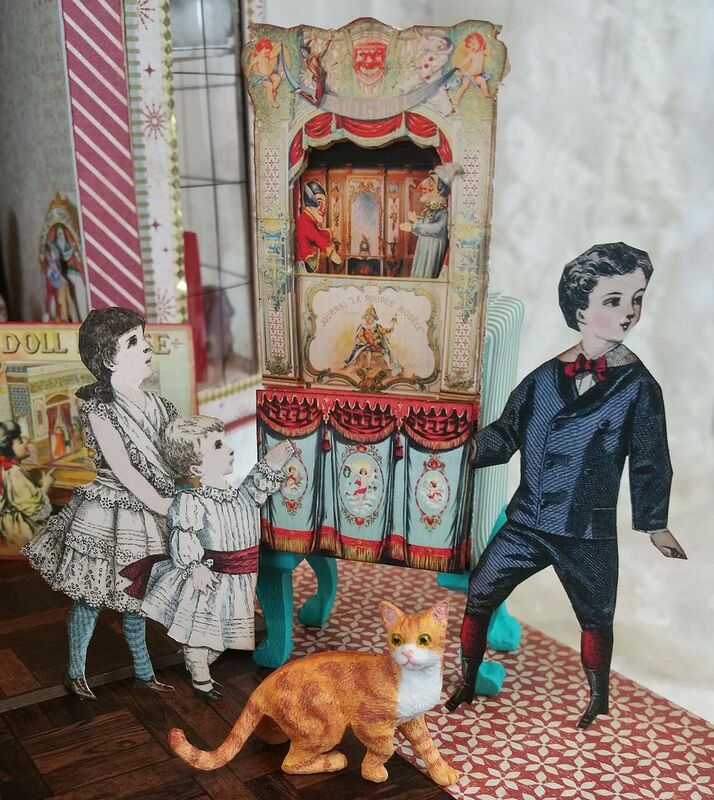 Per usual, to decorate the store I mixed collage sheet images with 3D objects. 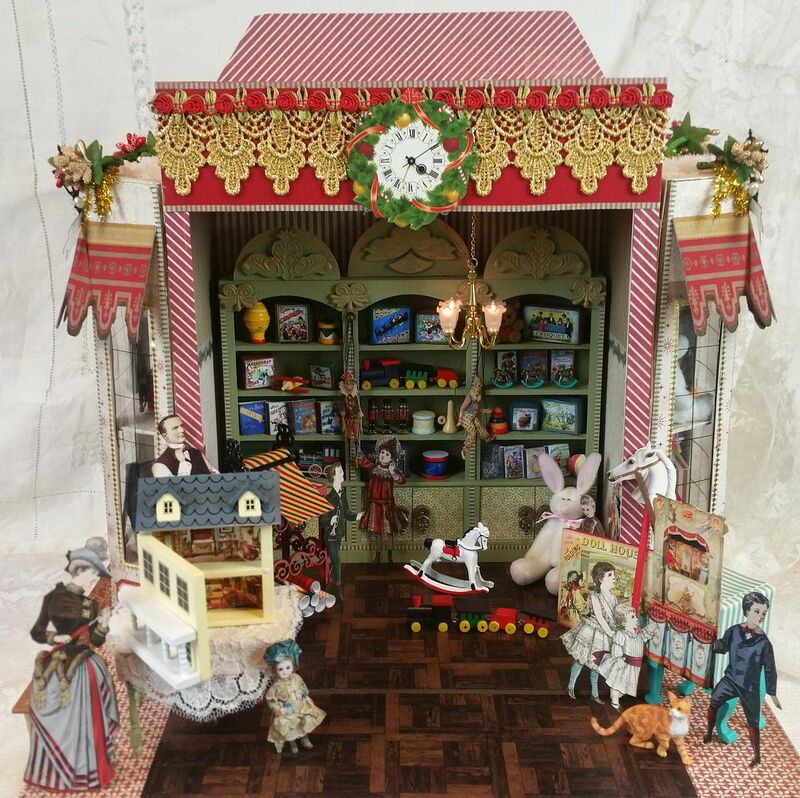 There are also fun items like a puppet theatre and a dollhouse that opens. And every shop needs a cat! And there is Mr. Bimble at the wrapping table ready to wrap your purchases in festive holiday paper. 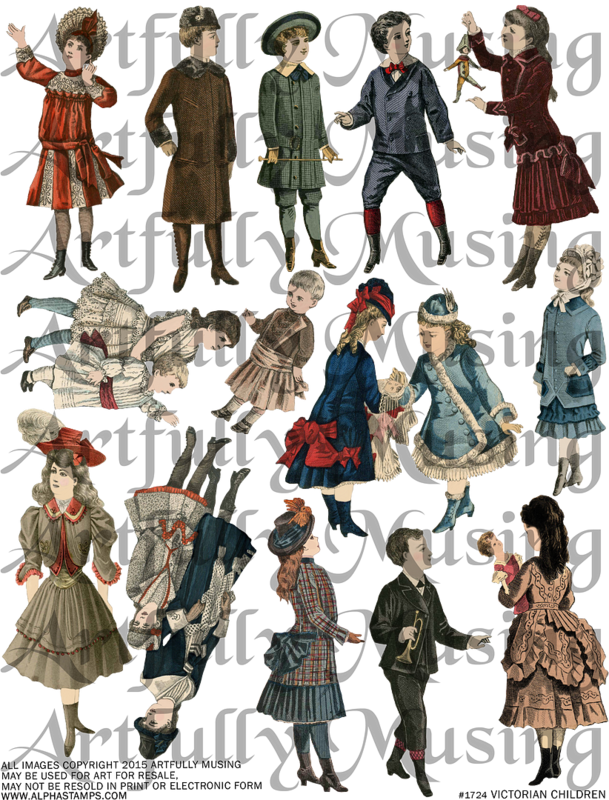 This sheet set contains features vintage children and works well with the Victorian Toy Shop collage sheets. 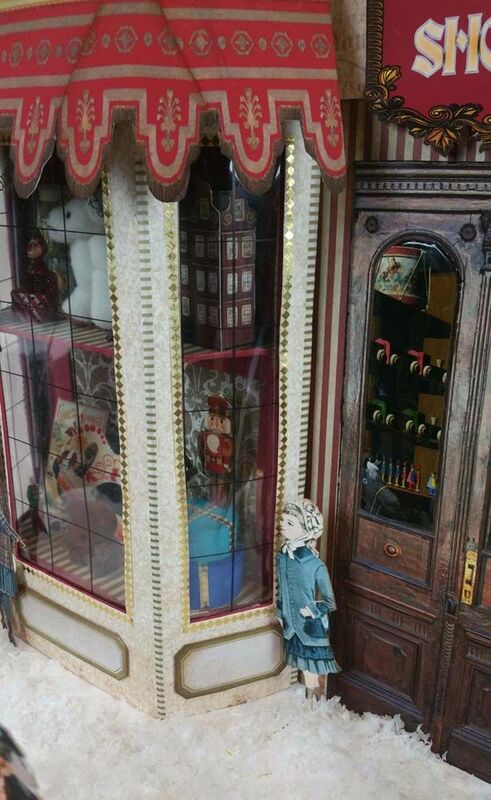 The images are 1:12 scale. 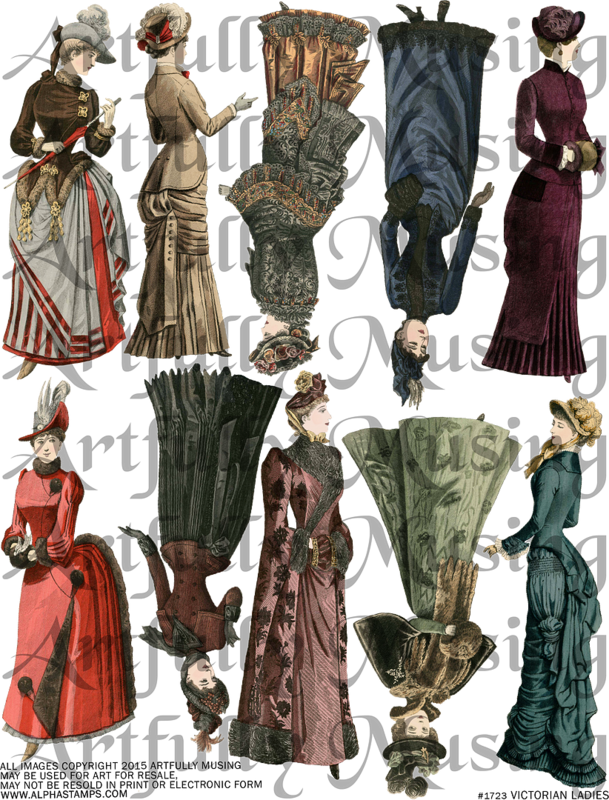 This sheet set contains Victorian women and works well with the Victorian Toy Shop collage sheets. 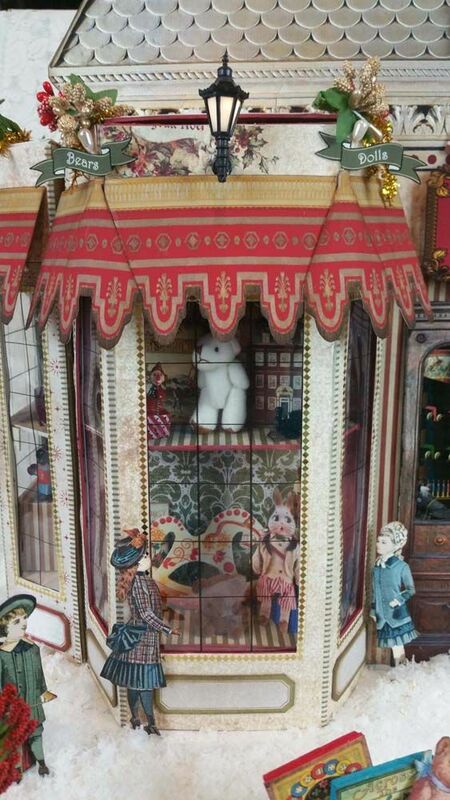 The images are 1:12 scale. 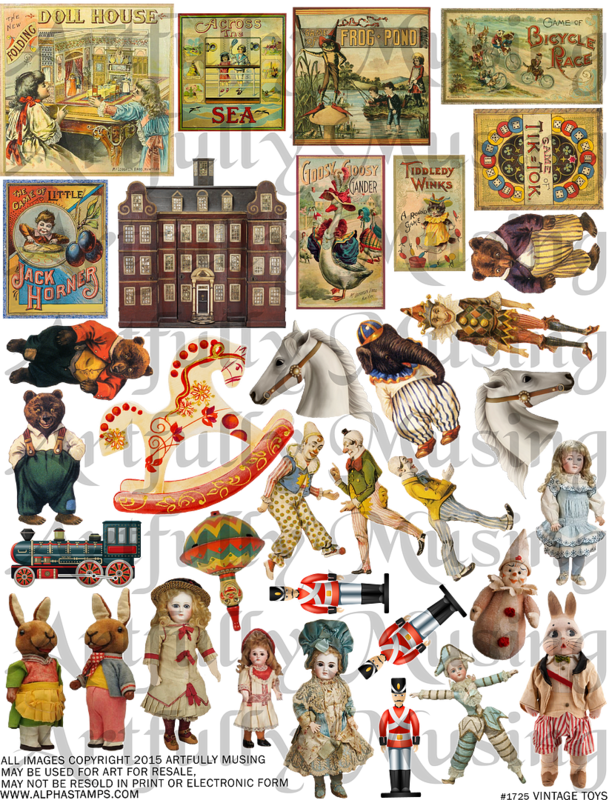 This collage sheet features vintage children and toys. The images are 1:12 Scale. 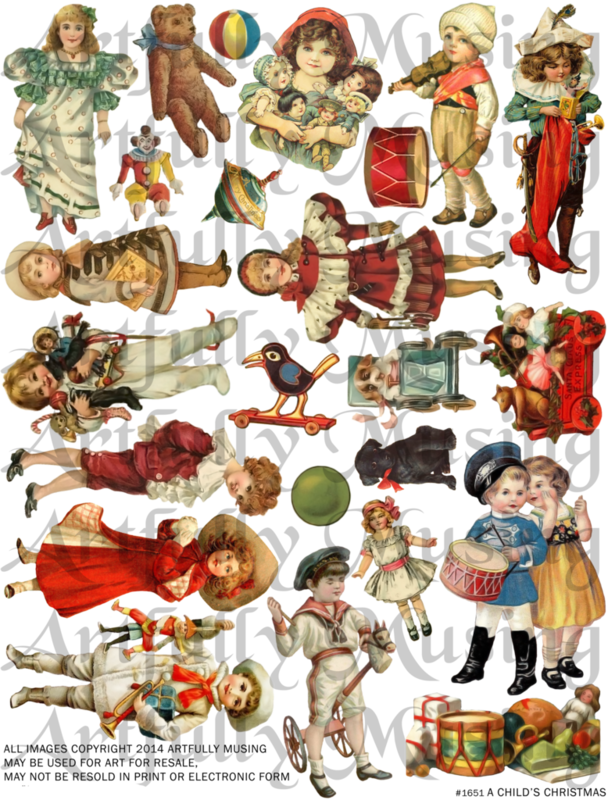 This sheet is packed with toys. The images are 1:12 scale. This sheet is packed with toys and games. The images are 1:12 scale. 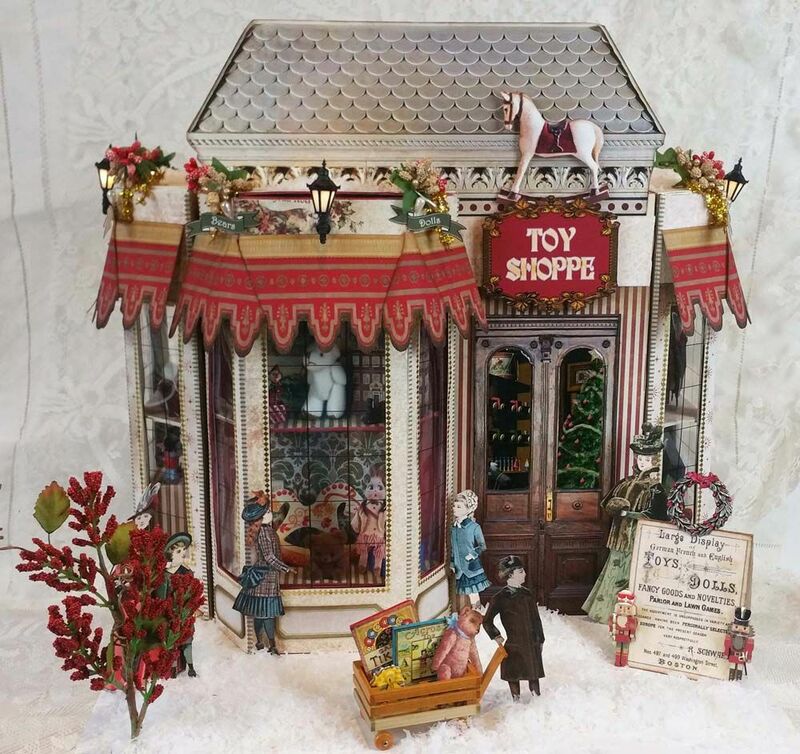 This is a 2 sheet set that contains architectural details for a vintage toy shop. The scale is 1:12. 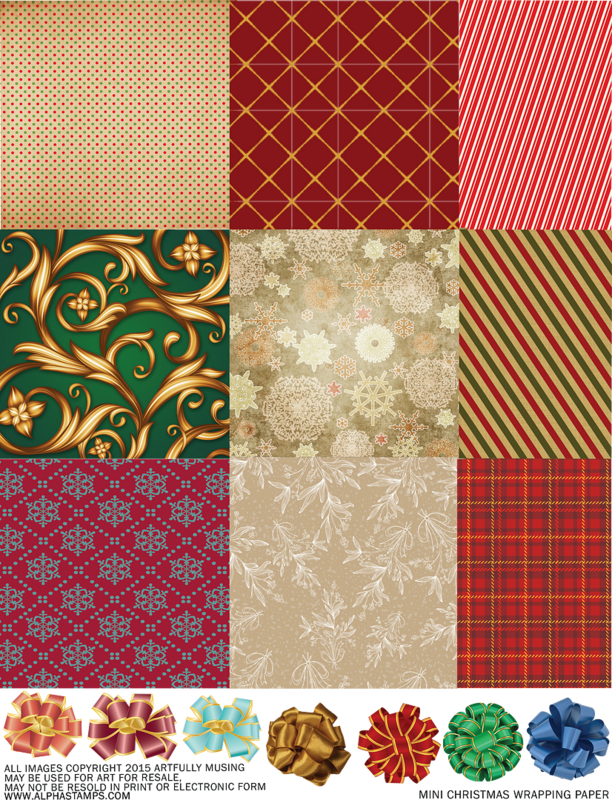 Feel free to download and use the Mini Wrapping Paper Collage Sheet below. 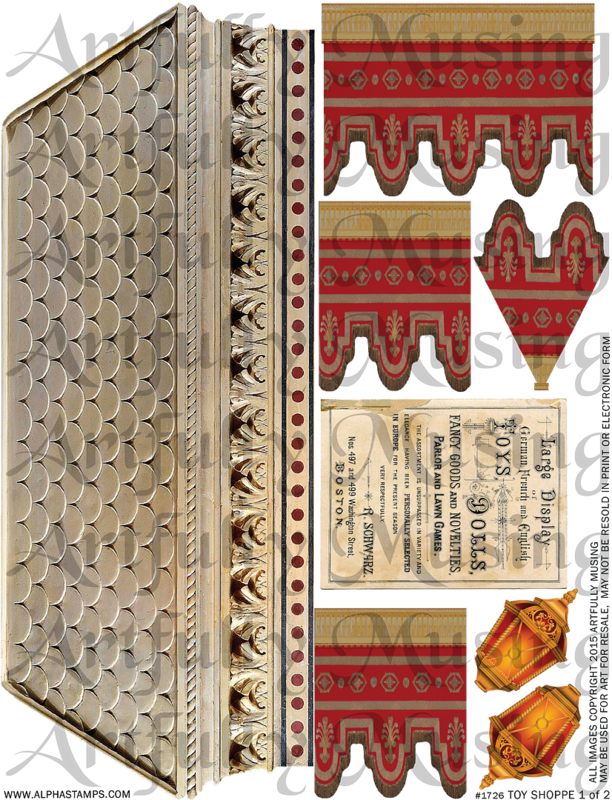 The papers on this sheet are great for wrapping the narrow matchboxes, wood blocks and wooden hat boxes to create mini presents.